← Big Business needs to be socially responsible. Pet food manufacturers are one example. Yes, coyotes do eat cats. Although, there appears to have been very few studies about the interaction between coyotes and cats, one took place in Tuscan, Arizona in 2009. It was conducted by three scientists: Grubs, Shannon E. and Paul R Krausman and it is called Observations of Coyote-Cat Interactions. The study was published in the Journal of Wildlife Management. 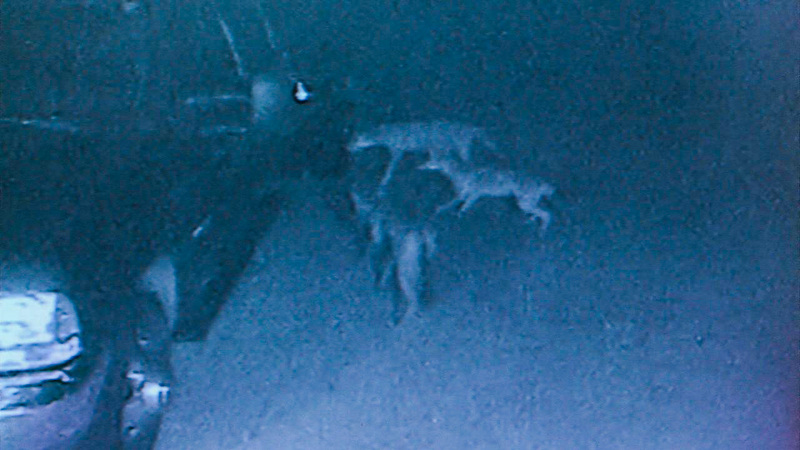 The coyotes were radio collared and tracked from 6 pm to 1 am in the morning. Eight coyotes were tracked. There were 36 coyote-cat interactions. There were 19 kills. Most interactions occured between sunset and sunrise when 16 kills took place. There was one alpha male who did by far the most killing. He had 14 interactions and killed 12 times. Three other male adults had 19 interactions and nine kills. There were four juveniles who together had 20 interactions and 12 kills. Finally there were unknown coyotes engaged nine interactions and six skills. The feeding behaviour when a coyote killed a cat was that in 18 interactions (half the total number) the coyote consumed the cat or part of him/her. Most of the cats were killed in residential areas between the hours of 10 pm and 5 pm from May to August (the pub-rearing season for coyotes). A single individual coyote were just as likely to kill a cat as a pack of coyotes. In all, the scientists observed 45 instances of coyotes consuming prey and fruit. The diet was composed of 42% cats, 33.3% rodents, 17.8% lagamorphs (rabbits), 2.2% birds and 6.6% dates. In this study, which may not be representative of all coyotes and probably isn’t, cats had a 53% chance of being killed during each interaction with a coyote. They had a 10% chance of encountering a coyote on any day. In another study of 2010 it was found that the occurrence of domestic cat in the diet of the coyote was only 1 to 2%. In the third study in 1997 the cat represented 13% of the coyote diet in an urban area in Washington state. In the study referred to at the beginning of this page, it is felt that the alpha male had trained himself to prey on cats and a cat had an 86% chance of being killed if he/she encountered this alpha male. If a cat had encountered any other coyote participating in this study the chances of being killed were 32%, far lower. I am grateful to Danielle writing on the Lost Pet, Research and Recovery website for the above information. She says that cat owners who have lost their cat should not give up hope or make presumptions that their cat has been killed by a coyote (if they live in an area where there is a known significant population of this predator). She says that she is only really concerned about coyote predation when a lot of cats go missing in the same area and especially if a cat owner finds the partially eaten remains of a cat, even their cat. She believes that people give up looking for their cat because they presume that he/she is dead but that they are probably wrong. P.S. Domestic cats avoid places where there are coyotes. This reduces risk. Camera traps showed that where there are coyotes there is a reduction in the number of cats. This entry was posted in cat welfare and tagged coyote, coyote attack, coyotes, outside cats, predators preying on cats by Michael Broad. Bookmark the permalink. FYI: These cat eating coyotes are not confined to Arizona! They are in Georgia too. We’ve interrupted several of their attempts to kill cats. Interesting and thank you for your comment. I would love to know how you interrupt them in their predation on domestic cats. Sadly, it’s not planned. 🙁 Our dogs sometimes act funny and refuse to go out. Hubby goes outside and sometimes sees the coyote(s) in the yard. The other night, he saw a cat in the treeline and a coyote was beside the house tracking the cat. The coyote ran away when he saw Hubby. Hopefully the cat made it home. Thanks Cat’s Meow for your insight into this. It helped me visualise how it happens. Feral cats , real ferals are not victims as often. Dumped cats are easy prey. My housecats think they are invisible behind a shoe. Coyotes will choose the housecat or domestic pet because they don’t have survival skills. Predators look for the easy meal. A female coyote would eventually teach her pups that cats are part of their diet if available. Ask anyone who’s tangled with a coyote that gets into your chickens no matter what. They are problem solvers and twice as smart IMO as wolves. 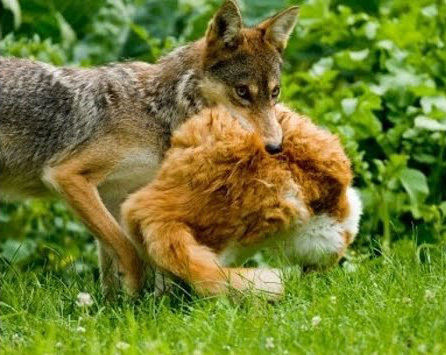 I find it horrifying that coyotes eat cats. Supposedly there are coyotes in every state in the US except Hawaii. Another reason to keep your cat indoors. Bad news for feal cat colonies. Me too. I was quite shocked really to read this study. I knew that coyotes killed domestic cats but I did not realise that they ate such a high percentage. Although as mentioned in the article this study may not be representative. That said, the domestic cat is certainly on the list of prey items of the coyote. It is a terrible end for domestic cat and it must be a great worry to cat owners in areas where the coyote lives. Yes, the more I read about the life of the American domestic cat the more I understand why cat owners keep their cats indoors. It is completely different in Europe where there are many less predators to the domestic cat. I’m glad we’re far enough from the Coyotes here, but there’s about 15 minutes away. Coyotes here will make short work out of any small dog, outside cat or small livestock. They become habituated to humans because people like my neighbors run a free fast food restaurant via garbage cans with no lids. This attracts not only the coyotes but domestic prey which is easy pickings. Coyotes, foxes, raccoons, owls eat cats in Central Texas. 😢 Possums will eat kittens.